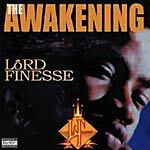 Re-issue of Lord Finesse's classic third album. Don't sleep. Bangin' beats, and that street slang that only Finesse could drop!